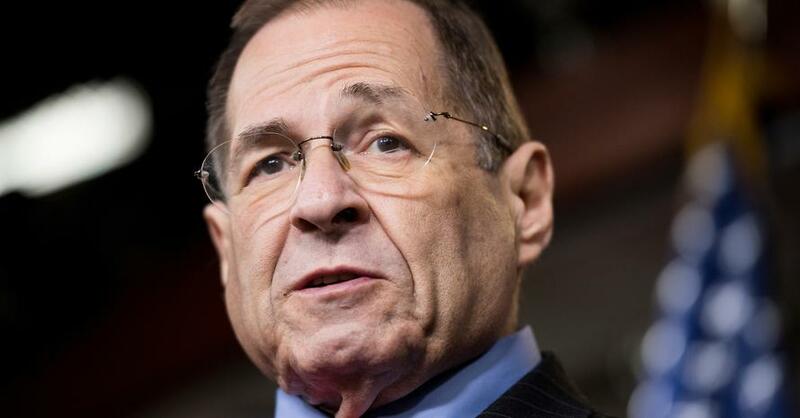 House Judiciary Chairman Jerrold Nadler (D-NY) said on Sunday that his committee will be issuing document requests beginning on Monday to "begin the investigations to present the case to the American people about obstruction of justice, corruption and abuse of power," according to ABC News. "Tomorrow, we will be issuing document requests to over 60 different people and individuals from the White House to the Department of Justice, Donald Trump, Jr., Allen Weisselberg, to begin the investigations to present the case to the American people about obstruction of justice, corruption and abuse of power," Nadler said on ABC's "This Week." "Do you think the president obstructed justice?" asked ABC's George Stephanopoulos. "Yes, I do," replied Nadler.
.@GStephanopoulos: "Do you think the president obstructed justice?" Stephanopoulos also asked Nadler: "How about if Robert Mueller comes back and says definitively we find no collusion by Pres. Trump? Is that conclusion you'll accept?" "We'd want to see the evidence behind that," replied Nadler. "This investigation goes far beyond collusion." And if Mueller's report finds no collusion, will the seemingly endless investigations into all things Trump be considered election interference if they bleed into 2020?